Dexterous workforce has helped us in presenting Polyester Stable Fiber Plant. Used in different industrial applications, the polyester stable fiber plant is manufactured by using cutting-edge machinery. Consistent performance, user-friendly operation and advanced serving life, make the polyester stable fiber plant highly demanded. 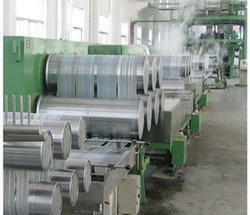 Looking for Polyester Stable Fiber Plant ?